Helen Skelton was drafted in as the presenter, well-known for walking tightrope between the chimneys of Battersea Power Station for Comic Relief. 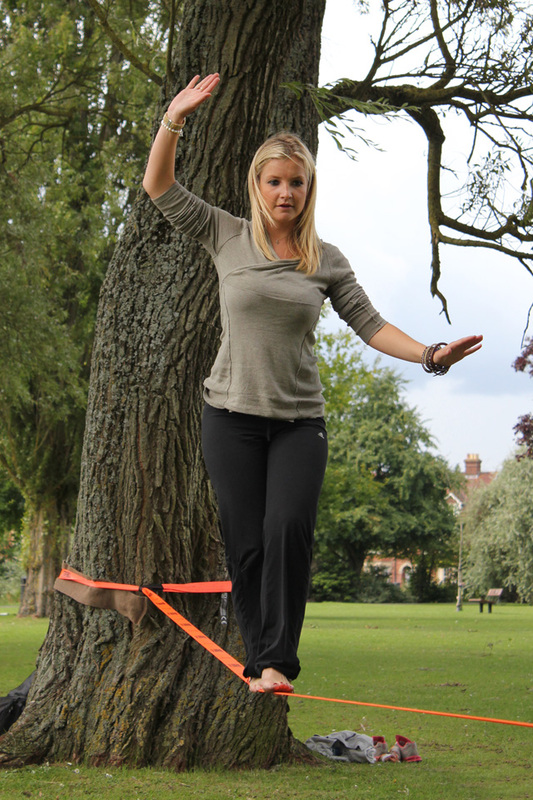 The idea behind the programme was to teach Helen how to walk the slackline; hoping the skills she had picked up from tightrope walking would come in useful – she was a natural! It’s safe to say she was one of the fastest learners we have ever had and by the end of the 2 hours was walking the slackline with an amazing amount of confidence. We setup three slacklines for the day, 2 learner lines and a superfun waist height trickline, it was cool to hook up with the crew for a session and really exciting to get the Beeb involved again. By the end of the shoot the Country Tracks team had all had a good go on the lines with Helen claiming how addictive it was and how she was definitely going to buy a Maverick slackline.